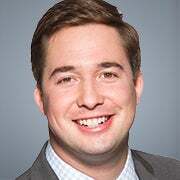 Michael Sargent is a policy analyst for transportation and infrastructure in the Thomas A. Roe Institute for Economic Policy Studies at The Heritage Foundation. The Bikeshare Transit Act, introduced by Reps. Earl Blumenauer, D-Ore., and Vern Buchanan, R-Fla., would make bike sharing programs eligible for continuous funding out of the transit account of the Highway Trust Fund, providing these programs with a permanent federal funding stream. For all of bikesharing’s potential merits, taxpayers should be very wary of extending federal funding to yet another inherently local activity—especially with a national debt now over $19 trillion. 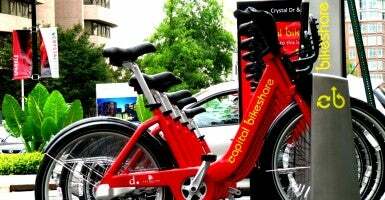 The bottom line is that D.C. taxpayers must fork over 65 cents every time someone hops on a Bikeshare bike. However, the real costs are actually much greater: Operating costs do not include the capital expenses of the bikes themselves, nor the expensive station docks. Yet even its operating costs do not compare favorably to existing modes of transit. Bikeshare’s operating costs per passenger-mile exceed those of D.C. Metrorail by some 55 percent (although they are not as high as Metrobus’). This is surprising, because D.C. transit’s operating costs are dominated by personnel expenses that account for roughly two-thirds of its operating costs. Yet for Bikeshare, the passengers themselves—rather than heavily unionized government employees—operate the vehicles, while station docks are not continuously staffed. These cost metrics are important because a continuous stream of federal funding provides entities with little incentive to control operating costs. “Free money” from the federal government would lead only to permanent dependency on federal funding and the corresponding reduction in responsiveness and service that comes with it. This draws a sharp contrast to having the parties that benefit from bikeshare bear the costs of the system. Then there’s the issue of who would actually gain from more taxpayer subsidies going to bikesharing. In Capital Bikeshare’s case, the answer is affluent white professionals. Capital Bikeshare’s own survey found that the average household income of its member in D.C. was $100,000 in 2014, well above the median of $66,000 for D.C. as a whole. Fewer than two in 10 Capital Bikeshare riders had household income of $50,000 or less—roughly the nation’s median household income. Furthermore, Capital Bikeshare found that 84 percent of its members are white, even though whites constitute only 44 percent of the District’s population. This racial and income disparity exists across most of the nation’s major bikesharing programs. Rather than subsidize a hipster nicety, wouldn’t it make more sense to prioritize mobility for low-income households, who overwhelmingly rely on cars and bus service? The point here is not that bikesharing programs are inherently bad and should not exist. Rather, there is not a compelling reason why the federal government should be involved in funding them at all. Indeed, given mass transit’s poor performance across the country—in part caused by federal subsidies—why would bikeshare proponents want to emulate that model? This piece has been updated by the author.